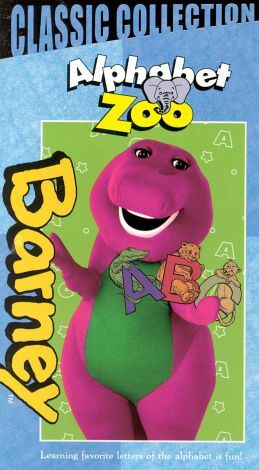 Barney and pals learn the letters of the alphabet by imagining a zoo of animals from A to Z to go along with them. The children, Shawn, Julie, Tina, and Derek play guessing games and sing many songs, including "Barney Theme Song," "Animals in Motion," "Down by the Station," and more. Also joining the gang are two guests, Julie's Aunt Molly, who makes a variety of animal sounds in a funny song, and Jason, who teaches everyone how to sign "I love you."